Yes, there IS a place to receive Airbrush tanning in the Horseheads, NY area! And yes, there is a place to receive Steam Therapy Treatments in Horseheads too. Both are available at AgeLess! View our Airbrush Tanning & Steam Therapy treatments below. Get a gorgeous natural looking tan, the healthy way. With just one professional application, you will leave with a beautiful, healthy, and natural looking tan that will last up to 7 to 12 days. For maximum pre and post-tanning results, we have exfoliator and tan extender products available for you for purchase. Choose your favorite scent from 15 different fragrances. 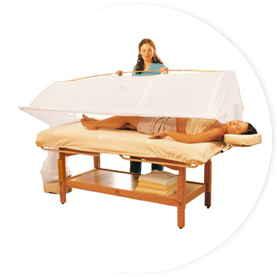 What could possibly be a better way to boost your body’s blood circulation, improve your complexion, and relieve you of stress than a Full Body Steam? This 20 minute liberating treatment will help to stimulate your immune system, reduce cellulite, and ease sore muscles; the benefits are endless. All of our AgeLess Steam Treatments include Complimentary Aromatherapy. This complimentary add-on involves a pleasant aroma of our Essential Oils being added to the steam, providing an added therapeutic benefit to your mind and body. 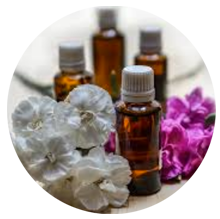 The pleasing aroma of added Essential Oils provides therapeutic benefits for mind and body.